Hello all! Hope everyone had a Merry Christmas! Ours was good, even though it was a little bittersweet this being the first Christmas since Mom passed away this past summer. We are a truly blessed family and everything really did go well. 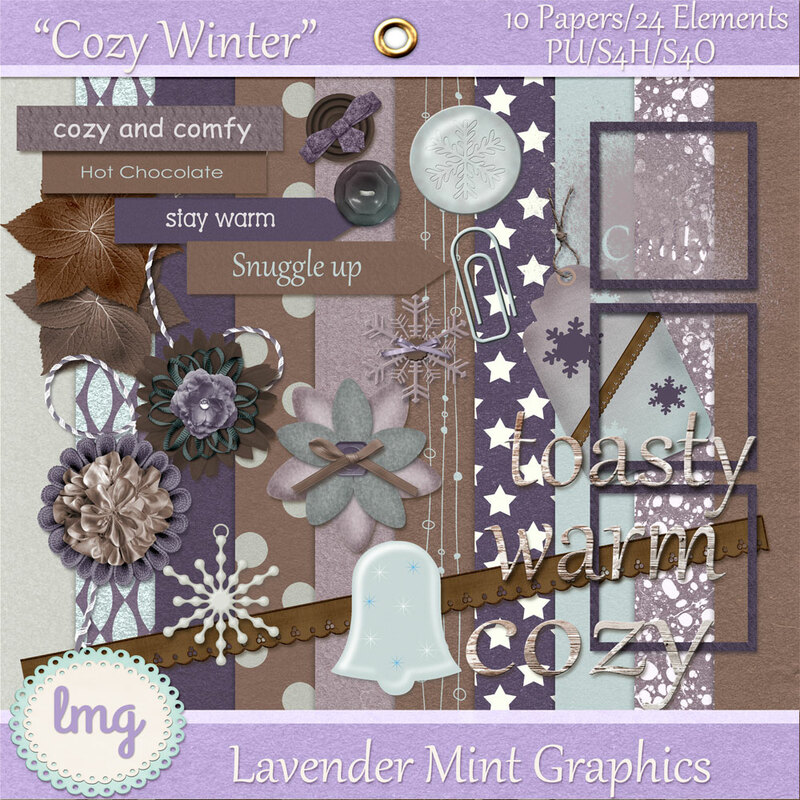 I’ll be putting up my part for the December Blog Train at Pixel Scrapper in just a couple of days, but wanted to get this kit out to you ahead of that. 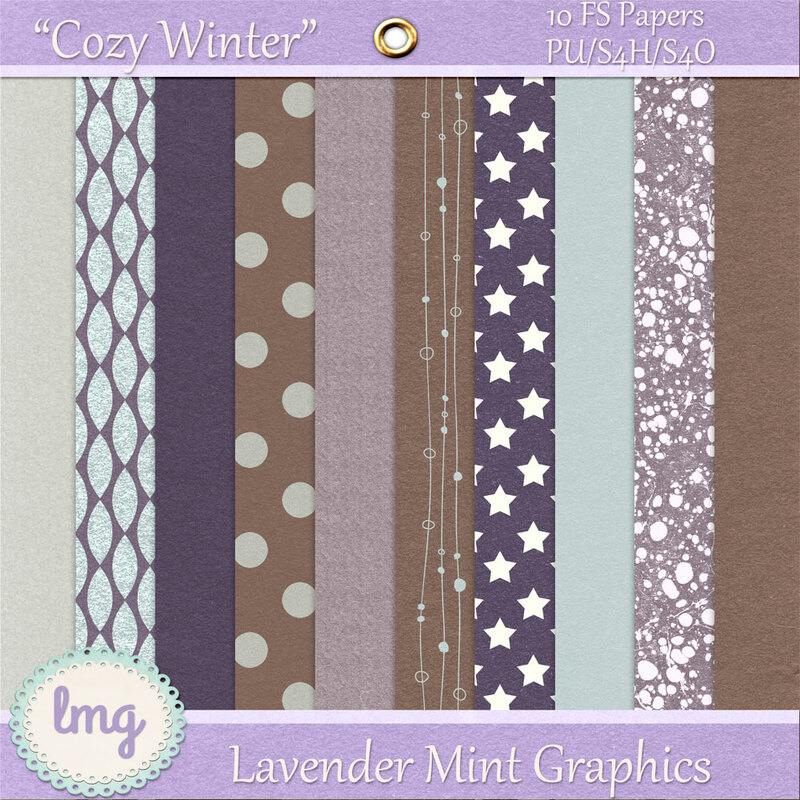 This color palette reminded me of how cozy winter can be, hence the name! I hope you like it. Thank you for this kit – I have an idea for using the star paper! Love the colors! 🙂 Thank you for sharing this kit with us.